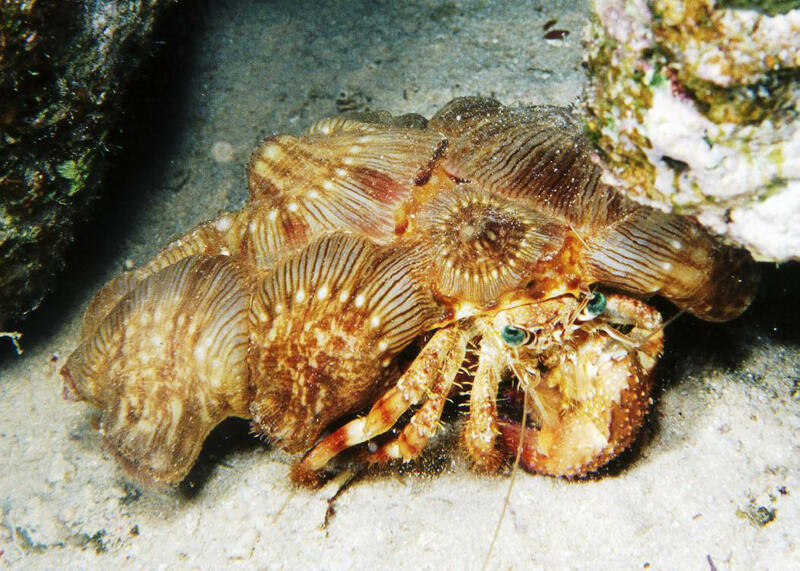 Dardanus tinctor, a Coral Hermit Crab. This one with its Calliactis polypus Anemones out at night in the Red Sea. To 10 cm. Large left claw. Nocturnal; omnivorous. Moves anemones when transferring to new shells. 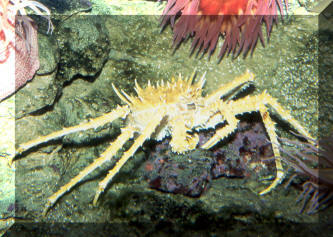 Lithodes a genus, species of king crab.SIO Aquarium image. 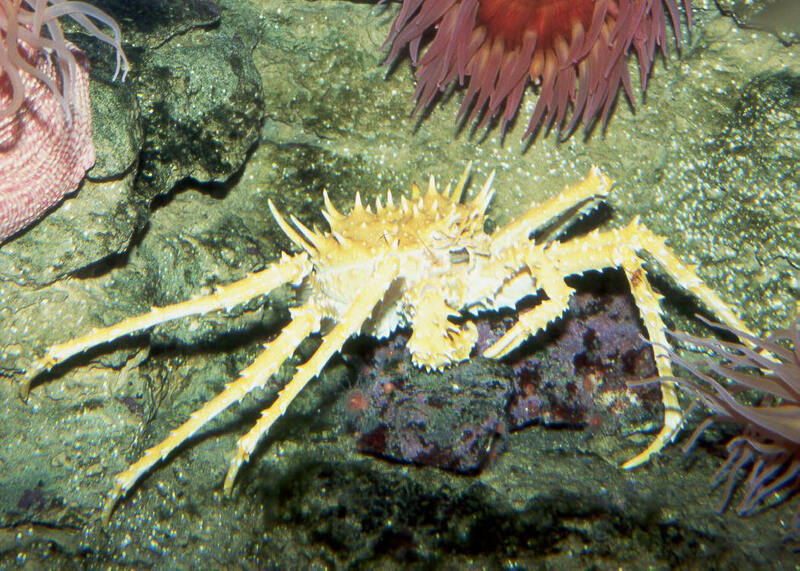 Neopetrolisthes ohshimai Miyake 1937, the Spotted Anemone Crab. Indo-Australia; including Pacific Islands. Almost always found in pairs in the wild (have to be bought as such if keeping two). Chased from Anemones by Clownfishes. Large red spots on creamy white bodies. Aquarium and N. Sulawesi images. Neopetrolisthes ohshimai is considered a synonym for N. maculata by many references. Petrolisthes galathinus (Bosc 1802) A Porcelain Crab. 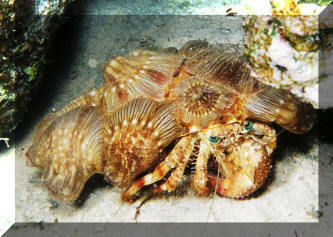 Live on sand substrates, tropical seas worldwide. One to a tank, not to be trusted with invertebrates. Okay with burrowing fishes. Take all foods, nocturnal. Eastern Pacific. Here off Guanacaste, Costa Rica.